In this country song about alcoholism she’s trying with every ounce of her being to find who she was meant to be. This isn’t the life she had planned. But her fight, this war, is bigger than all the mountains she’s ever faced. It owns her. She hates that MORE than she hates the bottle. This secret is killing her. How does she find her way? She’s already lost everything that was once real. Lies are so much easier. Calling her name, that bottle waits patiently for her shaking hands. She wants to throw that evil friend against the wall. She fights this urge that is now a part of her. Then she decides, tomorrow is the day this frenemy gets turfed. Tomorrow, yes that’s the perfect day to change. She personally knows too much about tomorrow. It’s her closest friend now. It’s the friend she calls when the bottle beats her down. She’ll do it for sure, tomorrow. This is not the life that she had planned. The more she loses in life, the more she needs that drink. The more she drinks, the more she loses. Yes, the lies are easier. Karolina by Canadian Country Music Artist Jann Arden, featuring Canadian Duo Autumn Hill is a terrific country song that captures the listener with it’s conflicting bouncing music and deeply painful lyrics. Upon first hearing the song, the listener is immediately taken to a ‘happy place’, however the words shut that down as does the beautiful, powerful video. It’s a serious message wrapped in a pink bubblegum bounce, and I personally love the song! Hope you enjoy it as well. 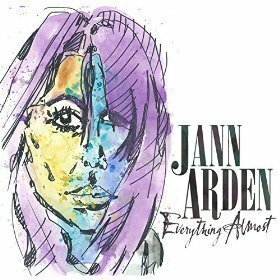 Jann Arden fans can find more about her on her website. Autumn Hill fans can find more on their website here.